In December, Nicole Martin, an SHS senior, was named to the Boston Globe All-Scholastic All Star field hockey team. Anyone who has seen Nicole play knows that the honor could not be more deserved; this past season she consistently dominated the midfield, scored seventeen goals, and led the team to the division semifinals. As the team’s manager, I’ve been able to watch her statistics accumulate and there is no one whose success I would rather record. Still, stats don’t do Nicole justice. After having had the pleasure of being her teammate for the past four years and her friend for the past fifteen, I can sincerely say she is more extraordinary off the field than she is on. An honorary member of our homeroom, Nicole is one of the first people I see every day. Somehow, Monday morning exhaustion and grumpiness never seems to affect her. She is a rare and dependable beacon of enthusiasm, offering a piece of her chocolate chip Pop Tart to whoever needs a pick me up. Similarly, you can always count on her high-pitched (sorry, Nicole) hello in the hallway. She treats her field hockey captainship as more than a title, acting as the consummate leader in all she is involved in. She sent out messages of encouragement before big games, packed me “secret” sister bags filled with snacks to make sure I had all the electrolytes and carbs I needed to keep the perfect book, and even took it upon herself to take a victory selfie after we upset Duxbury in the division quarterfinals. 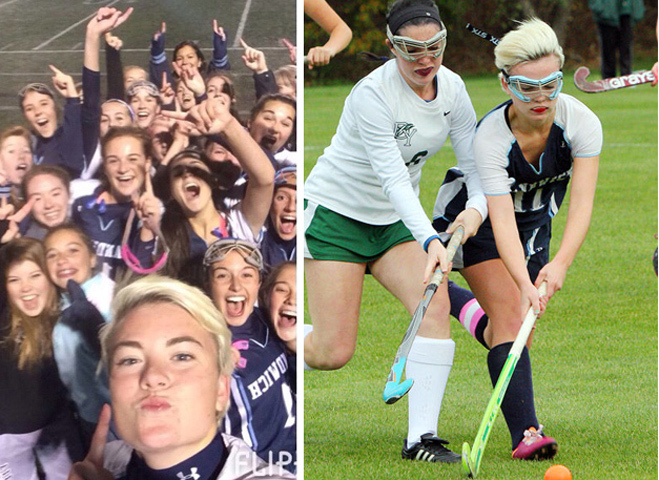 Under Nicole’s leadership, our final season on the field hockey team was incredibly entertaining and successful. Nicole, it has been such a pleasure to be on your team, to watch you go from the talented freshmen who would sit next to me on the bus to a Boston Globe All Star. No one works harder or deserves to be recognized more. I cannot wait to see what you do in the future! Read the Boston Globe article about Nicole here. 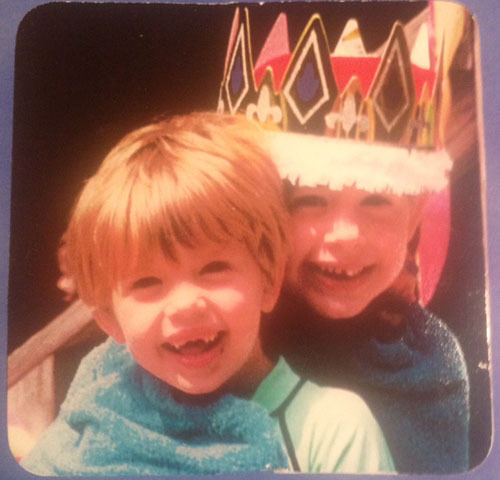 Nicole and Katherine back in the day. Beyond adorable.